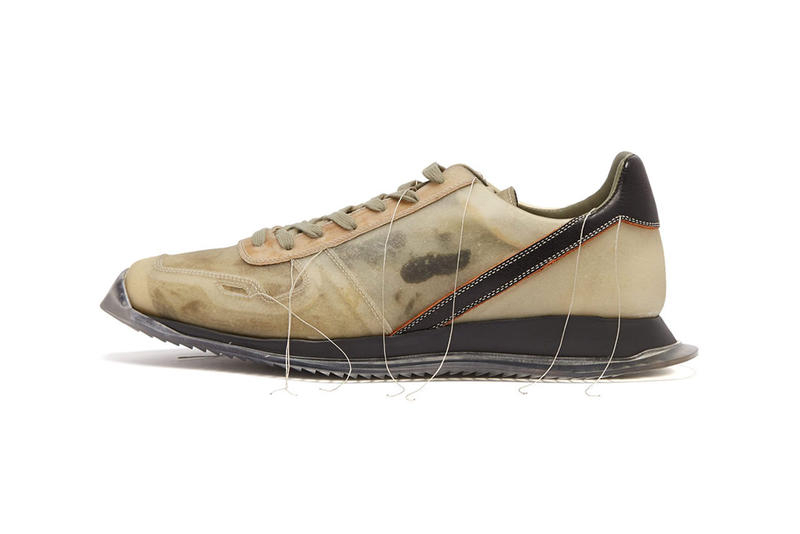 Following the designer’s seasonal take on his iconic Geobasket, Rick Owens serves up a complementary running shoe. Sporting a recognizable low-top silhouette, Owens’ take on the classic trainer is covered in a layer of organic, translucent leather, with dark brown panels underlining the season’s moody theme. Distressed topstitching yields plenty of dangling threads, a motif displayed throughout SS19, with a slightly oversized, rippled translucent outsole adding a menacing edge to the versatile trainer. Though it’s sold out in several sizes, MATCHESFASHION.COM’s site still has several pairs left for $1,038 USD. Meanwhile, Owens’ Fall/Winter 2019 presentation, “LARRY,” was one of our favorite shows of Paris Fashion Week. The Wasted Youth designer opens up in a brief interview. The 64-page book also includes an interview. Powerful vocals link up for a live session. Technical gear informed by neutral colors and clean lines.